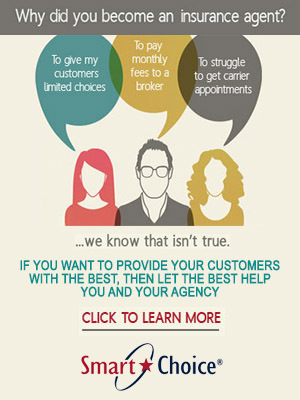 Much insurance advertising emphasizes the amounts that buyers can save in premiums by switching to a particular company. Furthermore the plug is to save a lot of money by placing a quick phone call. This has conditioned shoppers to focus primarily on the cost of insurance coverage, not the amount or quality of that coverage. That focus can lead to bad decisions, especially when it comes to insurance limits. It has been estimated that 60 percent of homes in the U.S. are underinsured by 20 percent. That means, for a typical agent who has clients with $300,000 homes, more than half of them are self-insuring $60,000. This shortfall creates tremendous hardships for those insureds who suffer total losses. Some victims of the 2017 California wildfires reportedly had to use retirement savings to make up the insurance shortfall. If underinsurance is allowed to persist for many years, even a partial loss to a home can exhaust the limits. 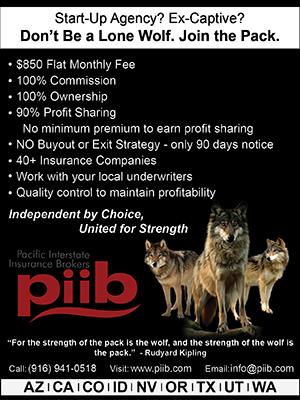 It holds the limits on an insurer’s book of business artificially low, thus depressing premiums needed to fund losses. Insurers and agents may lose customers angry about being underprotected. The subsequent bashing they take on social media may also cost them future customers. For agents, the trouble may not stop at negative Facebook comments. Losses involving underinsured homes can lead to errors and omissions liability claims. E&O policies typically carry deductibles of $5,000 or more. If those deductibles apply separately to each claim, and multiple homeowners sue the agency, the combined deductibles will become burdensome. It is common to think of catastrophic events such as wildfires and hurricanes as being relevant only to certain parts of the country. Wildfires have happened in California and Colorado. However, more than 20 of them broke out on a single day in Maine in April 2018. Wyoming can get 60 mile-an-hour winds. A tornado destroyed large parts of Joplin, Missouri in 2011. Catastrophic events can occur in virtually any state. The answer is to make certain that all insureds are at least offered adequate limits. An insurance agent is neither an engineer nor a general contractor, and therefore does not have the expertise to give precisely adequate estimates. However, many insurers provide their agents with calculators for estimating replacement costs. These are normally based on tools developed by firms such as Core Logic or E2Value. Since these tools are not precise, agents may want to present clients with a range of insurance limits and associated premiums from which to choose and offering nothing less than 100% of the estimated replacement value. When presenting the options, agents should explain to their clients that the limit calculated by the tool is only an estimate and may not be sufficient to cover the cost of completely rebuilding the home. They should also emphasize that reconstruction costs frequently exceed the original construction cost. Some agents are tempted to offer a policy with an artificially low limit coupled with an “extended replacement cost” endorsement in order to keep the premium down. However, this is a bad idea. These endorsements typically provide a stated percentage amount of extra insurance in case the limit is exhausted. If an agent reduces the indicated limit in the hope that an extra 25 percent of guaranteed replacement cost coverage will cover the rest, the insured is left with no room for error. The limit plus the 25 percent may not be enough to pay for rebuilding and this is where many agents get into trouble. Also, some insurers will not offer this coverage unless the insured agrees to purchase the limit the insurer selects. This negates the advantage the agent was trying to achieve. Inadequate limits of insurance cause financial hardship for insureds. They also threaten an agent’s reputation and could be the source of lawsuits. Agents should always recommend adequate limits with multiple options. They will do what is best for their clients while protecting themselves and their businesses.